Jenn Murphy is local mom/business woman. 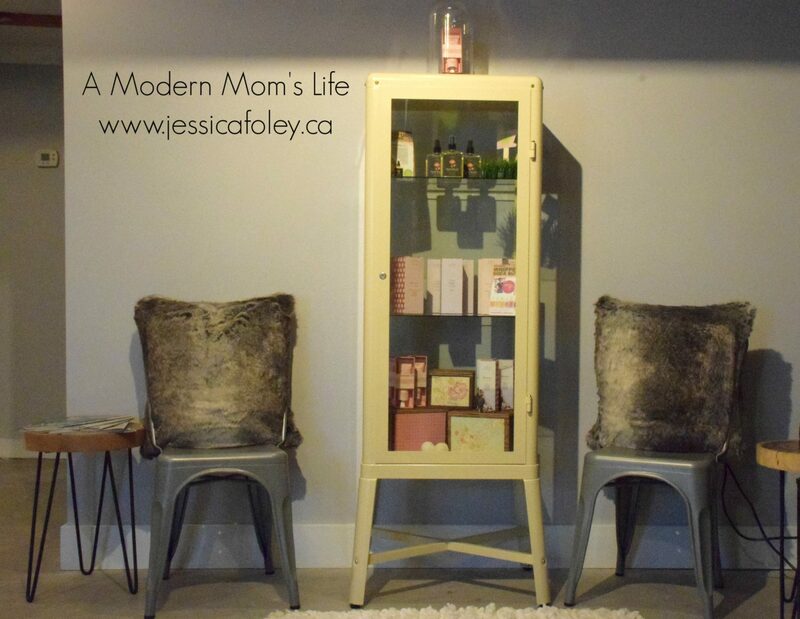 She is currently running Fossa Retreat in the basement of Fossa Hair + Esthetics in downtown Kingston. I had a lovely visit with her shortly after she moved here and got her business up and running. Jenn gave me a fabulous facial, plus a brow wax, in late October – you can read about my experience here. 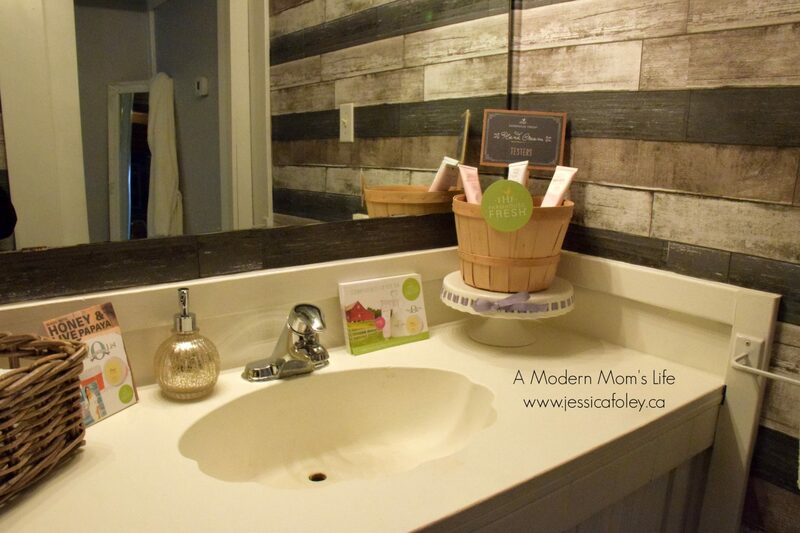 This post is going to talk more about Jenn as a person, a savvy entrepreneur, and a mom! Fossa Retreat waiting area – take a seat. As every working parent knows, it’s a struggle to balance work and family. Jenn is lucky she’s found a good daycare and is doing something she loves! She and her husband Allyn both work in downtown Kingston so they can share a drive and a parking space. Allyn is the general manager of the new Score Pizza. I’ve had their food – it’s delicious! Jenn and her husband have a 2 year old daughter, Ella. Emma and I had the pleasure of meeting her recently when I went to take a few photos of Fossa Retreat. She is super cute! Emma absolutely adored her as well. She’s part of the reason Jenn and Allyn moved to Kingston. Being an entrepreneur means that Jenn has some flexibility on her working life. Most recently she worked in Ottawa as an employee, but she found it difficult to balance working and mom life – as most of us working parents often do. Jenn told me that now she has the ability to schedule her days differently. If she needs to be home because her day care is closed, she can make that work into her schedule, although those unexpected “sick kid” days can still throw her for a loop. Luckily her husband has some flexibility is his schedule as well so they’re making it work as best they can! 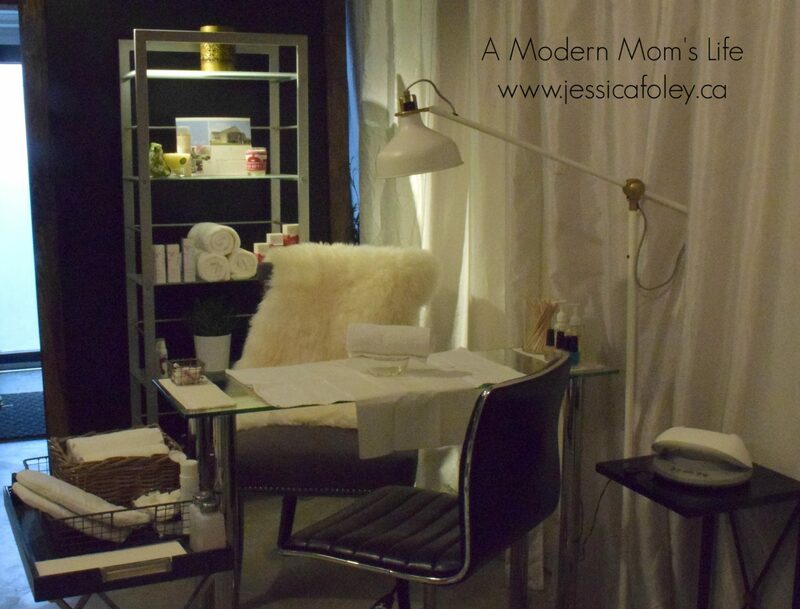 Manicure Area – I love the fluffy blanket! “Having been an industry leader for 13+ years now the next step for me was to get into a position of working for myself. Making my own hours that work for my family was really important. Essentially, having my dream schedule was a necessity. I interviewed for other positions when I arrived in Kingston and what I was offered simply wouldn’t have worked for us. I completely understand working mothers, and those that take a giant leap of faith in starting their own businesses while babies are young. I see so many scrambling while pregnant and on maternity leave to tie up loose ends on how to make it work when they need to return to the workforce. 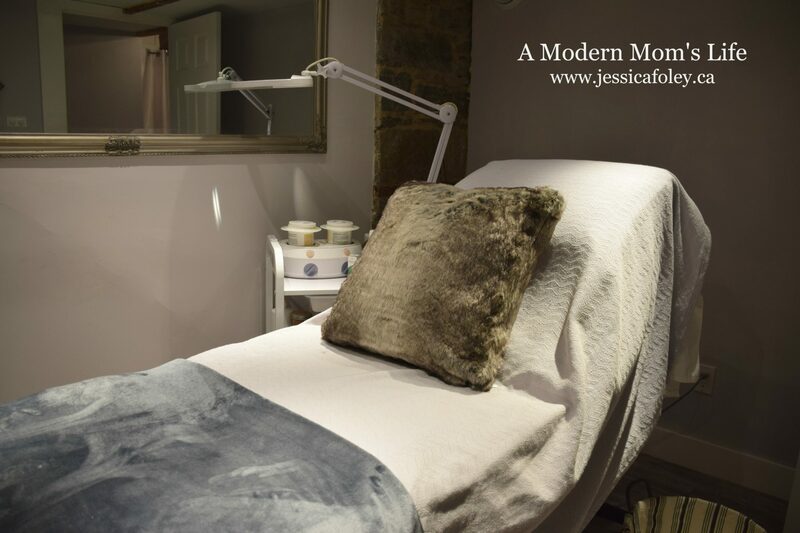 Treatment Room Bed – Doesn’t it look comfy? Jenn Murphy is a registered aesthetician in the province of Nova Scotia. Apparently that is the only province in Canada that requires a license, complete with exams and continuing education. I found that tidbit fascinating. Jenn keeps her license active at all times – you never know where life will take you, am I right? I can’t say enough lovely things about Jenn Murphy. I’m honoured to be helping her gain exposure for her budding business, and I’m hopeful we can work together for a long time to come. I’m calling myself her brand ambassador, and I’m so pleased with her services. Her space on Sydenham St is lovely and rustic, even if it’s still a work in progress. In the coming months Jenn is hoping to launch a skincare blog. I am hopeful I can be a source of information for her when she needs it! I’ll be sure to share her excellent posts when she’s ready. Even the washroom is beautiful. If you live near Kingston I would highly recommend giving Jenn Murphy a call if you’re in need of skincare services. Her Fossa website is here (click the esthetics tab), with all the detailed services she provides. I’m not getting a cut of any bookings, I just think you should go – she’s awesome! This post is (I hope) the first in a series of features on local ladies who are making a go of working and raising their families. If you’d like to be included, or you know of someone who should get a post, please contact me or leave a comment! And don’t forget to subscribe to my blog – then you’ll never miss a post. PS – If you visit with Jenn, leave me a comment and tell me about your experience!